Before the modernization A house of their own, but still close to the city: like many families, Sven Reuter and his wife Sabine dreamed of having such a place for themselves and their two children. 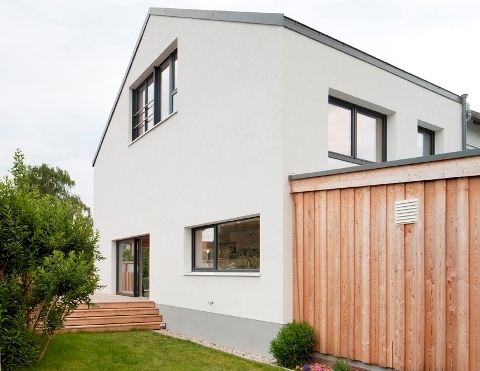 And they wanted their home to be a Passivhaus, for the Hannover architect knew the unbeatable advantages they provide. "We wanted to build in an energy-saving way and to be able to do as much of our day-to-day traveling as possible by bicycle. Since there were no suitable plots of land available, we decided to look for an existing house that we could do something with," explains Sven Reuter. In 2009, they found what they were looking for in Hannover-Badenstedt. The endterrace house with southern gable was in nearly the same condition as it had been the year it was built. "The most modern thing in it was the gas heater from 1994," remembers Reuter. The modernization A wide variety of insulation and building technology concepts were played out in simulations in order to achieve minimal heating and residual energy needs at affordable construction costs. After the successful modernization in which the roof was built out, additional bathrooms were created, and walls were knocked out to create a generous amount of living space the values calculated in the simulation were compared to the actual results, in order to gain knowledge for future projects. 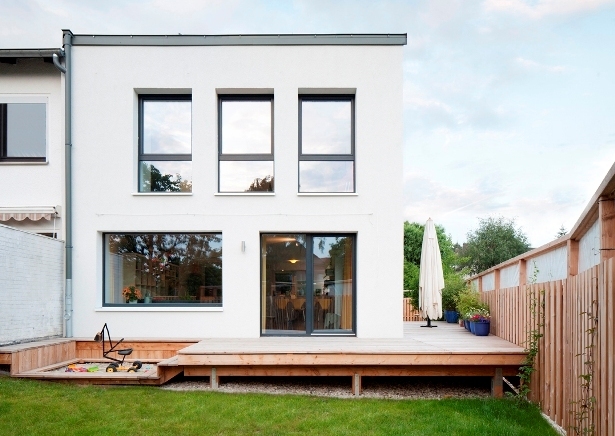 The result: the old end-terrace house was transformed into a Passivhaus and now provides top-quality housing.